Our next feature is a letter from Phillip O. Berry Academy's Brittney Fuller, a Licensed Athletic Trainer working as a Health & Physical Education Instructor as well as Licensed Athletic Trainer at the school. 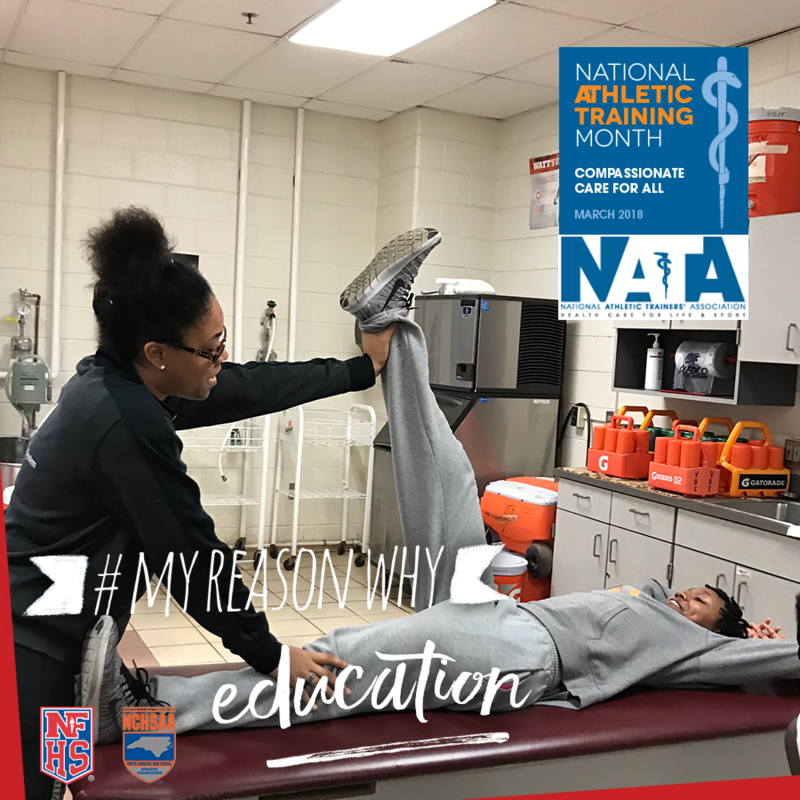 In this interview, she talks about why she enjoys Athletic Training, and what she enjoys about being in the high school setting as a Licensed Athletic Trainer. My journey to become a secondary school athletic trainer has been amazing. During undergraduate studies at the University of North Carolina at Charlotte, I had the privilege to participate in many clinical rotations. One of my favorite rotations occurred at Concord High School. I loved the rapport the athletic trainers shared with student athletes, coaches, parents and the community. As graduation approached, I decided to pursue the setting of an outreach secondary school athletic trainer. There are many reasons why I became a secondary school athletic trainer, but I will only share three reasons why I love what I do. The first reason is the ability to provide care to a variety of sports. Multiple sports can occur at the same time and many injuries are evaluated throughout the season. The opportunity always arises to apply evidence-based practices when clinical diagnosing injuries on the field, court or in the athletic training facility. The second reason is being able to educate athletes, coaches and parents on injuries, rehabilitation protocols, surgical procedures, injury prevention, nutrition, and hydration. Many people think that athletic trainers disperse water and tape ankles, but there is more to the job. Education plays a major role in secondary school’s on injury prevention. The third reason is the observable growth whether it is through a rehabilitation protocol, skill set, improvement in biomechanics, or just a teenager becoming a young adult. High school is a vital time of transitioning and preparing youth for their futures. Maintaining good health mentally, physically, and emotionally can lead to a healthy life. As I continue my journey as a athletic trainer in a secondary school, I will continue to learn, thrive, and provide care for all. The most rewarding aspect as a secondary school athletic trainer is a student saying, “Thank you for all that you do!”.